Have you an interest in flowers ? We try to have flowers in both Churches at all times during the year (apart from Lent and Advent) and are always pleased to have new people join our Flower Rota teams. 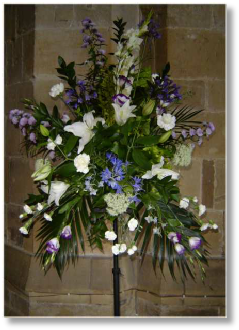 On occasion Wedding flowers are also undertaken (by prior arrangement). • Pauline Nunwick (St James - 775678).